On top of inspiring excellent burgers and beer, Game of Thrones also has the power to spur some pretty creative covers of its theme song. 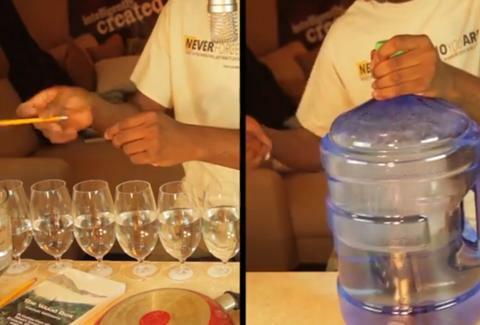 Just watch this guy recreate the medieval medley with a water jug, pans, and half-full (or half-empty, if you're Cersei) wine glasses. It's not quite as rousing as Peter Dinklage's speech in Sunday's episode, but it's pretty damn close. Kristin Hunt is a food/drink staff writer for Thrillist, and is standing by as a surprise witness in Tyrion's trial. Follow her to King's Landing at @kristin_hunt.